Charles Percy Snow is known nowadays, if he is known at all, as the author of “The Two Cultures,” a 1959 lecture at Cambridge later published as a book, in which Snow described the sciences and the humanities as divided by an increasing chasm. He pointed out that while a scientist ignorant of Shakespeare is considered surprisingly—even embarrassingly—ill-read, no one bats an eye when an expert in the humanities can’t identify the second law of thermodynamics, the scientific equivalent of “To be or not to be.” In this essay and throughout his work, Snow argued for the importance of scientific literacy and for the moral nature of science: there is no such thing, he declared, as scientific neutrality. While devoted to literature, he espoused the controversial view that the humanities could not hold sole moral responsibility for the fate of the world: science, too, now played an inescapable role. Snow himself was well versed in both realms. He was born in the city of Leicester in 1905, and after an exemplary educational career he earned a Ph.D. in physics at Cambridge. He remained at the university for the next fifteen years, from 1930 to 1945, as a Fellow of Christ’s College. 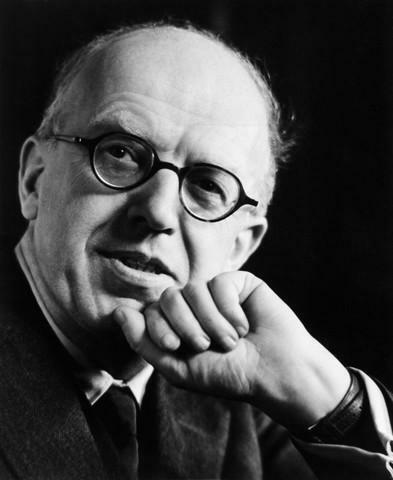 Long before he officially left the college, however, he had moved on to the vaster arena of politics: in 1940 he began to work for the British Ministry of Labour as one of a group of research scientists, and by 1942 he had been appointed Director of Technical Personnel. Though acutely aware of the ethical ambiguities of the atomic bomb, Snow was nevertheless among those in charge of the scientists working to create such a bomb for England. After the war he continued to work for the government in various capacities—finding respite from his responsibilities in an affair with his secretary, Anne Siegrim. He broke off this relationship to marry Pamela Hansford Johnson, a fellow novelist, in 1950. They had one son, Philip, and remained married until Snow’s death in 1980, though their partnership didn’t stop him from returning to Anne Seagrim some years into the marriage. In 1964 he was made a life peer, joining the House of Lords as Baron Snow. Throughout his adult life Snow wrote fiction—not piecemeal but as part of a grand and carefully ordered scheme. Though he published other novels before and after, his greatest literary achievement is an eleven-novel cycle called Strangers and Brothers, the first volume of which was published in 1940 and the last in 1970. The eleven novels all share the same narrator, Lewis Eliot, a man who escapes his provincial origins to become an academic and eventually a government administrator. The path is, of course, the same as Snow’s—but as with so much of his fiction, the translation from life to page was not direct. Snow was not interested in simply recording his own experiences but rather in asking searching questions about life in England in the twentieth century. His novels tackle some of the most pressing issues of his era, from the atomic bomb to class rivalry to anti-Semitism. Above all he focused on the moral pitfalls encountered by people in authority, whether in a laboratory, in the business world, or in the government’s “corridors of power,” a phrase that Snow himself coined for the title of the ninth novel in his series. Snow made his narrator, Lewis Eliot, a lawyer rather than a physicist, and he may well have done so in order to gain distance from the stories: such changes allowed Snow to explore the complex questions raised in his own life without the restraints of romans à clef. That said, he rarely shies from escorting Eliot through the rites of passage he himself experienced. The dreams and bitterness of his early years he reshapes as Eliot’s youth in Time of Hope (1949). The academic power-struggles that he witnessed at Cambridge are rendered in a novel many view as his greatest achievement, The Masters (1951). And the ethical dilemmas that Snow faced in the Ministry of Labour he poses to Eliot’s brother, a physicist, who is hired in The New Men (1954) to aid the British government in constructing an atomic bomb. Lewis Eliot is an elusive and enigmatic narrator. Though all eleven novels in Strangers and Brothers are told in his voice, throughout many of them he remains in the background, describing the triumphs and travails of his colleagues in a tone that is startlingly precise, almost clinical, in its elucidation of every nuance—political, intellectual, emotional. The narrative distance can be disconcerting for readers new to Snow’s work, and there is undoubtedly a relief in turning to the novels that do illuminate Eliot’s private life: Time of Hope, Homecomings (1956), and Last Things (1970). But there is a quality in the other novels that gets lost in these more personal volumes—a sense that the reader is hearing from a trustworthy external source about the secret troubles of intriguing people. The narrative distance, in other words, heightens the novels’ realism. It is sometimes hard to remember—given Eliot’s reserve and the parallels between the books and Snow’s own life—that they are fictional stories, meticulously told by a narrator who is himself one of Snow’s creations. 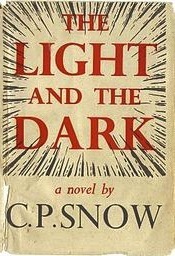 For this reason, the two novels in the cycle that are most successful on an emotional level are The Light and the Dark (1947) and The Conscience of the Rich (1958). The Light and the Dark focuses on Roy Calvert, a brilliant young scholar appointed as a Fellow of Eliot’s Cambridge college. He specializes in Manichaeism, an ancient religion upholding the belief in two opposing forces—good and evil, light and dark. The novel’s title refers not only to Roy’s specialty but to his own character: he is a manic depressive, alternating between fits of glorious, almost ecstatic energy, in which his scholastic genius knows no bounds, and bouts of unmediated gloom, in which thoughts of death are never far away. Eliot finds a comrade in Roy; despite his erratic behavior, the young man is a charismatic and caring person, prone to schoolboy mischief and loyal throughout the extremes of his illness. The novel follows Roy through his early successes and his troubled relationships with women to his eventual service in the air force in World War II. Eliot stands in the wings, a confidant, advisor, go-between, and supporter, who is thus able to tell Roy’s story in intimate detail. The success of the novel lies not only in the emotional acuity evident in Snow’s depiction of Roy but in the link between the two men. Eliot is never a mere conduit for the story: his role in Roy’s life is a crucial one. At times he is Roy’s only anchor in a sea of chaotic feeling, and over the course of the novel Eliot’s growing affection for the younger man shines through his words, gaining all the more strength because he never stresses his own part in the proceedings. Ultimately Eliot’s love for Roy becomes our own, and thus the novel packs an immense emotional punch. To a lesser degree but still deftly, Snow produces the same effect in The Conscience of the Rich. This novel tells the story of Eliot’s friend Charles March, the scion of a wealthy London family who all struggle, in different ways, with the burden of their wealth and the difficulties of being Jewish in England in the 1930s. When Eliot, still at law school, first encounters the Marches, he views them as beings from another world—that of prosperity—and both his awe and his distrust are shared by the reader. But Charles wins us over as he wins Eliot over: the reader is soon rooting for him in his quest to become a doctor for the poor rather than the prominent figure his father hopes he will be. In this book, as in all his others, Snow questions the motivations of those who seek power: political, domestic, intellectual, medical. Because he is never simplistic in his answers, the question remains fascinating and multi-faceted throughout the cycle of novels. Snow delved into the problem of power with a scientific mind—a mind exceedingly sharp, logical, and thorough—but he used the novel as his instrument of inquiry: fiction rather than research, characters rather than specimens. By doing so he not only united the two cultures but also created a unique and incisive literary voice. I smelt blossom everywhere as I walked through the town that afternoon. The sky was bright, cloudless and pale, and the wind cut coldly down the narrow Cambridge streets. Round Fenner’s the trees flared out in bloom, and the scent was sweet, heady and charged with one’s desires. I had been walking all the afternoon weighed down by a trouble. It was a trouble I was used to, there was no help for it, it could only be endured. It gnawed acutely that day, and so I had tried to comfort myself, walking alone; but I should have said nothing, if Roy Calvert had not asked me direct. I had turned towards the college, and was still engrossed in my thoughts; it was not until he called out that I saw him moving towards me with his light, quick, graceful stride. He was over middle height, slightly built but strong; and each physical action was so full of ease and grace that he had only to enter a room for eyes to follow him. “You look extremely statesman-like, Lewis,” he said, mimicking an acquaintance’s favourite word of praise. His eyes were glinting a clear transparent hazel yellow, and his whole expression was mischievous and gay. It was often otherwise. In repose, his face became sad and grave, and in a moment the brilliant high spirits could be swept away and he would look years older, more handsome, more finely shaped. And once or twice already I had seen his face, not sad, but stricken and haunted by a wild melancholy, inexplicably stricken it seemed for so young a man. I said no, and at the sound of my voice he glanced at me sharply. He walked at my side under the trees by the edge of Parker’s Piece. When he next spoke, his tone had changed. I was twenty-nine, and Roy five years younger. I was fond of him in a casual, protective fashion, and I expected to be told of his adventures and have him seek me out when he was despondent. I knew a good deal of his life, and he very little of mine. This was the habit I had formed, not only with him but with most people that I cared for. It had become second nature to listen to confidences and not to offer them. And so I was not used to Roy’s insistence, clear, intimate, direct. With another I should have passed it off for ever, but about his affection there was something at the same time disarming and piercing. It seemed quite free from self. To my own surprise, I found myself beginning to talk. We walked along the back streets to Maid’s Causeway, over Midsummer Common to the river, came back to Christ’s Piece and then, still intent, retraced our steps. It was bitterly cold in the shade, but we walked slowly: the dense snow-white masses of the chestnuts gleamed in the sunshine: there was a first hint of lilac in the wind. Once, after I had fallen silent and Roy had said “just so” and was waiting for me to start again, I heard a series of college clocks clanging out the hour, very faintly, for the wind took the sound away. This opening is typical of both Snow and Eliot: immediate and direct, making no bones about telling the reader pertinent facts concerning the characters—just as, in a scientific paper, one must lay out clearly the procedure of an experiment. Eliot’s reserve about his personal life is equally typical; it is clear that his confidence in Roy is exceptional, a mark of esteem. But it is the precision of Eliot’s language, the care with which he notes the elements of his surroundings, and the attention he gives to his companion that form the greatest draw of this novel, and of Strangers and Brothers as a whole. Snow himself, like Eliot, was unwaveringly interested in his characters—and, thanks to the skill and accuracy with which he describes them, so are we. Learn more about C. P. Snow’s novels on Amazon and Goodreads.